This new translation of The Upanishads is at once delightfully simple and rigorously learned, providing today's readers with an accurate, accessible rendering of the core work of ancient Indian philosophy. The Upanishads are often considered the most important literature from ancient India. Yet many academic translators fail to capture the work's philosophical and spiritual subtlety, while others convey its poetry at the cost of literal meaning. 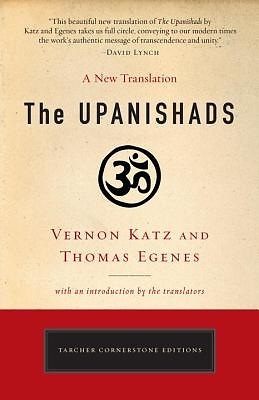 This new translation by Vernon Katz and Thomas Egenes fills the need for an Upanishads that is clear, simple, and insightful - yet remains faithful to the original Sanskrit. As Western Sanskrit scholars who have spent their lives immersed in meditative practice, Katz and Egenes offer a unique perspective in penetrating the depths of Eastern wisdom and expressing these insights in modern yet poetic language. Their historical introduction is suited to newcomers and experienced readers alike, providing the perfect entry to this unparalleled work.